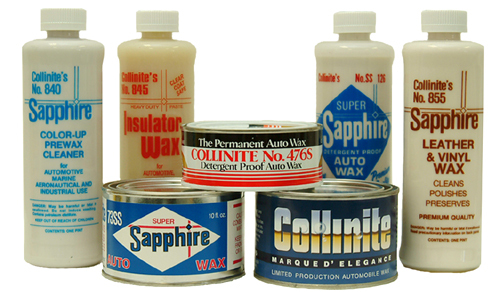 Collinite Wax Products has been making car wax since 1936. Collinite is one of the original makers of carnauba car wax and Collinite's Wax Products proprietary formulas are still gaining accolades 70 years later. At the basis of all Collinite waxes is pure carnauba wax, imported from Brazil. The founder of Collinite wax, Charles H. Collins, wanted to produce the best quality products made with superior ingredients, regardless of the cost. Quality was paramount and today, Collinite wax products still operate according to that credo. Collinite Wax is a virtual secret outside of the realm of professional detailers and car collectors, due in part to the limited availability of the products. Like many of the best products, Collinite Wax is offered only by select specialty retailers. Collinite’s reputation has spread not through mass marketing, but by word of mouth of satisfied customers. By consistently offering superior products, Collinite has weathered many changes in automotive trends and their products still remain some of the best on the market for the protection and beauty of your vehicle. We are pleased to bring Collinite wax products long history of quality and performance to Autogeek. Collinite’s auto care products are among the best in the business and we’re confident you’ll be impressed with their car waxes, leather wax, and paint cleanser. 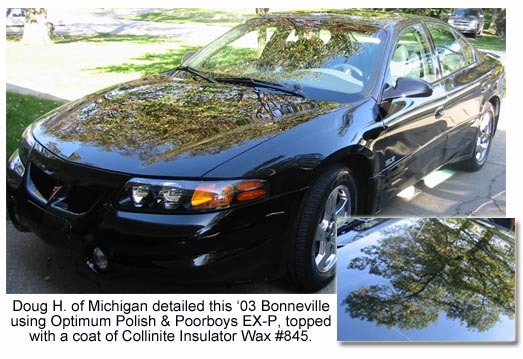 Among the most popular Collinite products is their Collinite Insulator Wax #845, a liquid carnauba wax that beads water for several months with one application. If carnauba paste wax is your preference, Collinite Super DoubleCoat Auto Wax #476 offers up to a year of protection with a warm, reflective shine. That’s just two of the products in the Collinite automotive line; check out all seven, now available at Autogeek. Collinite Fiberglass Boat Cleaner #920 64 oz. Collinite Liquid Fleetwax #870 64 oz.